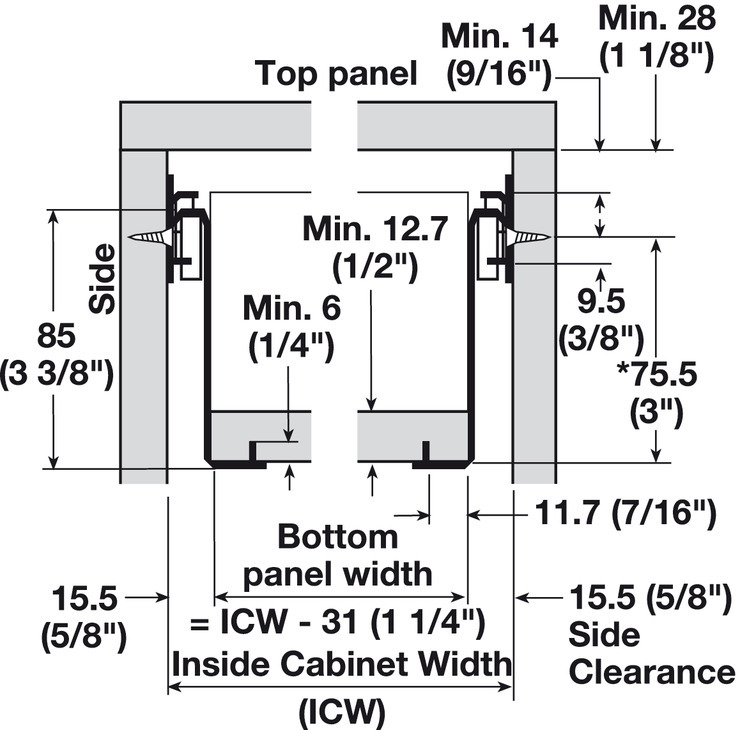 Allow minimum of 3 mm (1/8”) for bottom clearance. 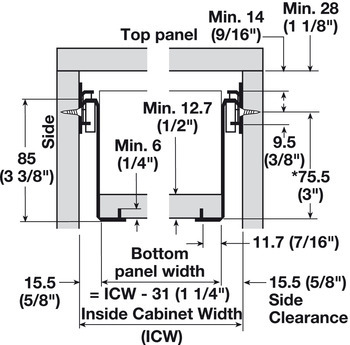 If screws are used, increase clearance accordingly. 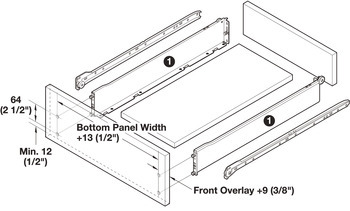 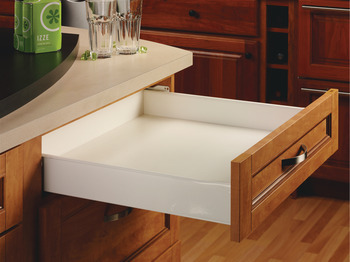 Drawer slide attachment: Wood screws #6 x 5/8 FHP; Euro screw for 5 mm system holes. 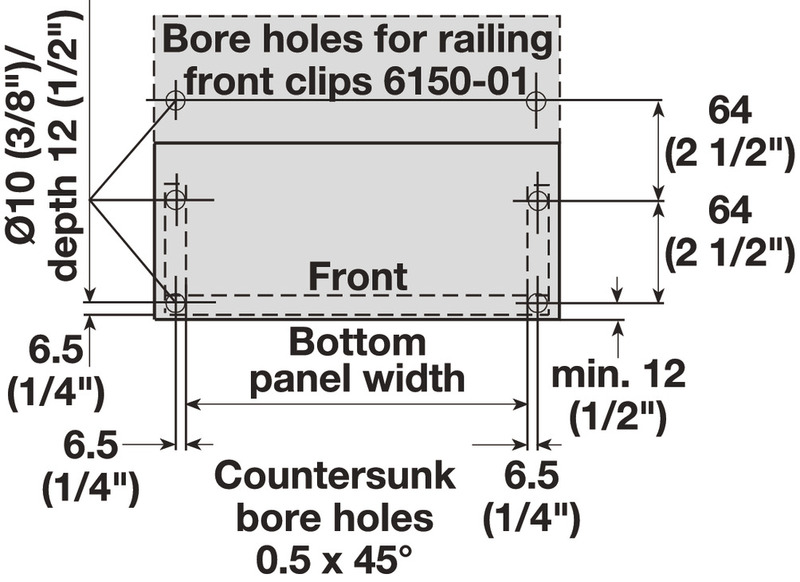 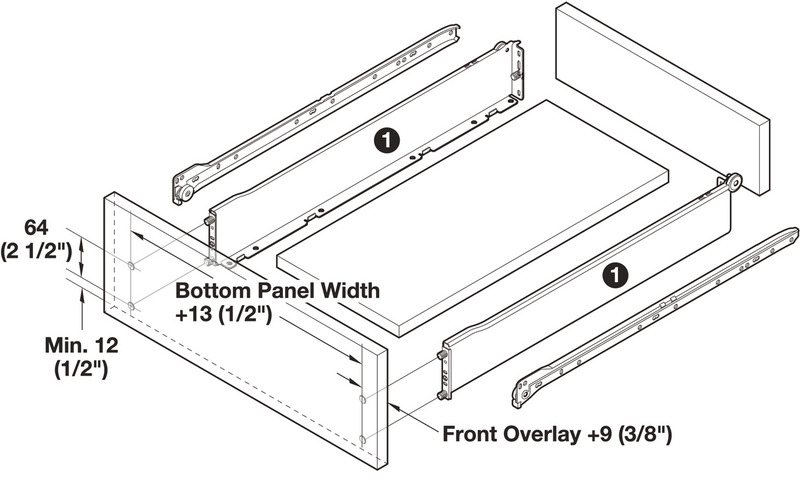 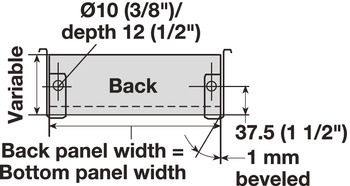 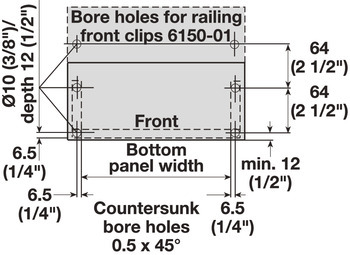 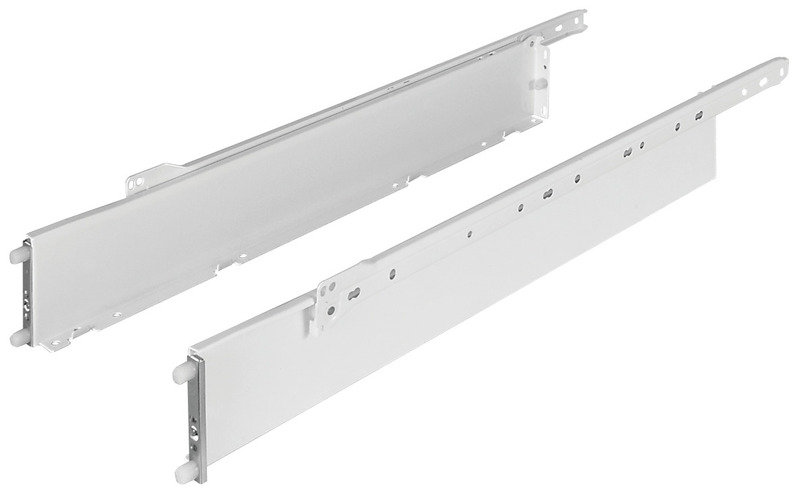 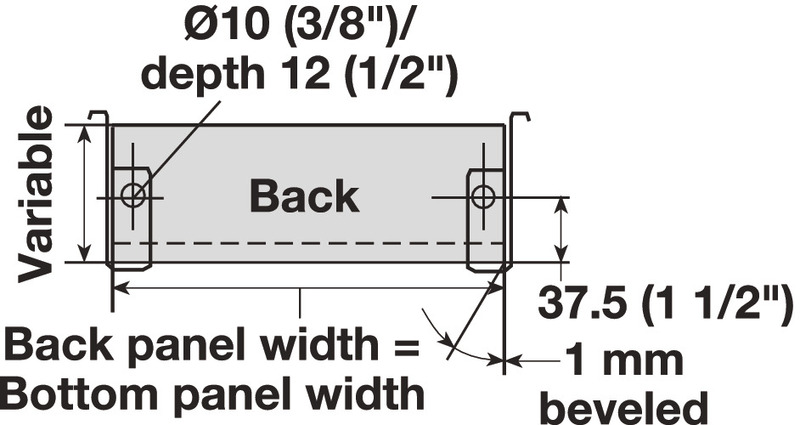 Bottom panel length = slide length - panel thickness - 3 mm.